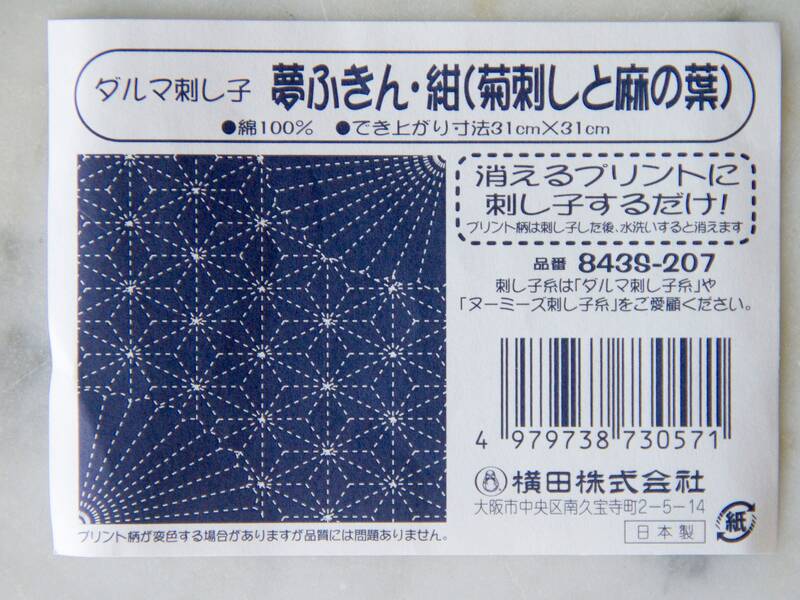 Sashiko panel pre-printed with wash-away ink. 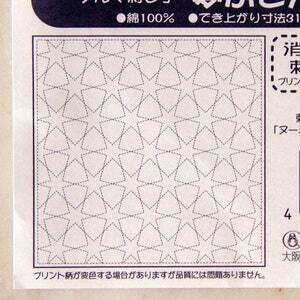 This approximately 12" x 12" design has fans in two corners and 6-pointed stars in between. 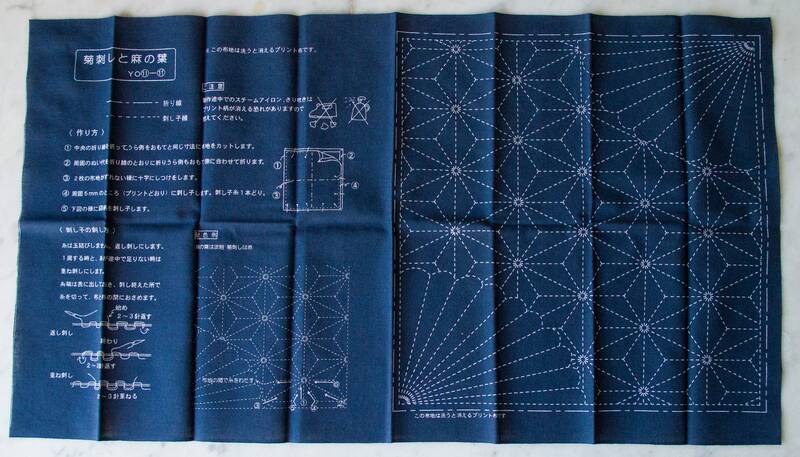 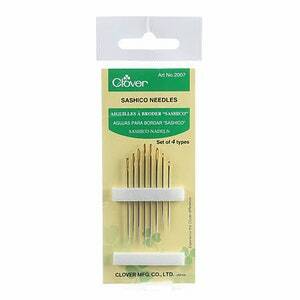 THis is a great way to try the Japanese art of Sashiko, or "little stabs" . 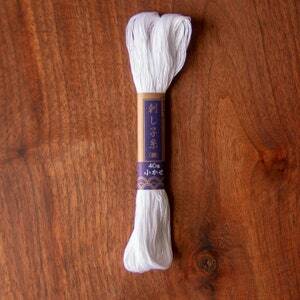 Sashiko started out as a decorative way to mend or reinforce clothing, and has become known for its decorative value over the years. 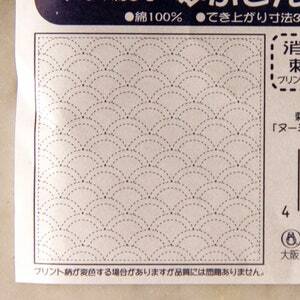 This small panel could be a relaxing weekend project and can be finished in many ways.